As the years go by I would like to think that I am learning a couple things to make life easier and more efficient. A huge component to that equation is having access to the proper equipment. 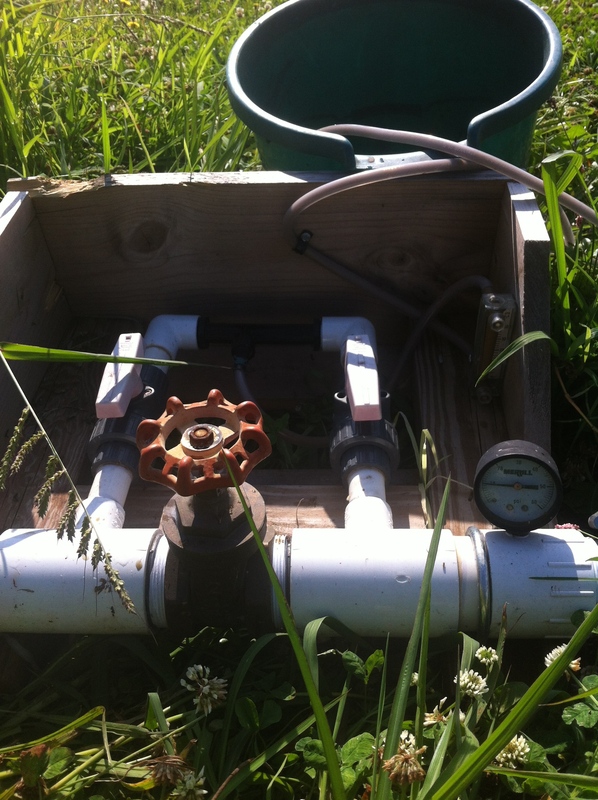 I wrote about a month ago that Kevin and I fertilized the 1/2 acre with a 100gl water tank, carrying 5gl buckets of sloshy fish emulsion down each 180ft bed, pouring a qt on each plant. Let me reiterate again if I didn’t make myself clear the first time ……… it SUCKED! It took us about 1 1/2 days and Kevin and I left work with horrible back aches and smelling of fishy nastiness. You can imagine my disappointment when it came time to fertilize again. This time however, Zack was kind enough to let us use the injector. This little device was AMAZING! 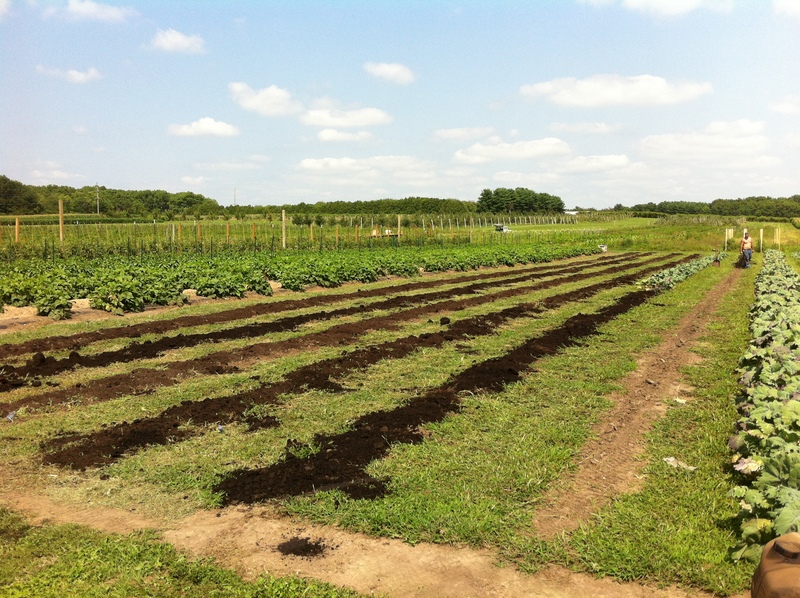 We fertilized the entire 1/2 acre in approximately 15 mins, saving labor and $$$. New damage as of last week. 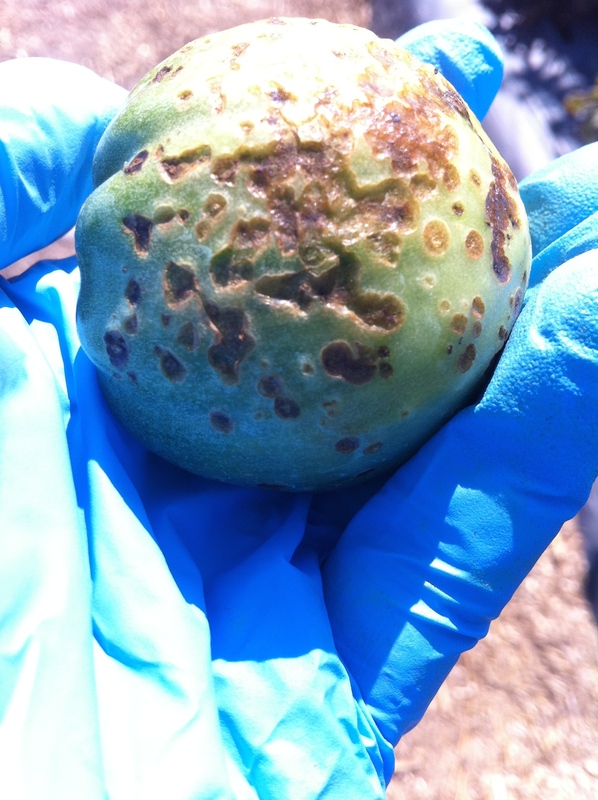 Damage to fruit. I was afraid of this!! getting down to the 50s at night, it is not conducive to growing a successful crop. What I was afraid of happened. 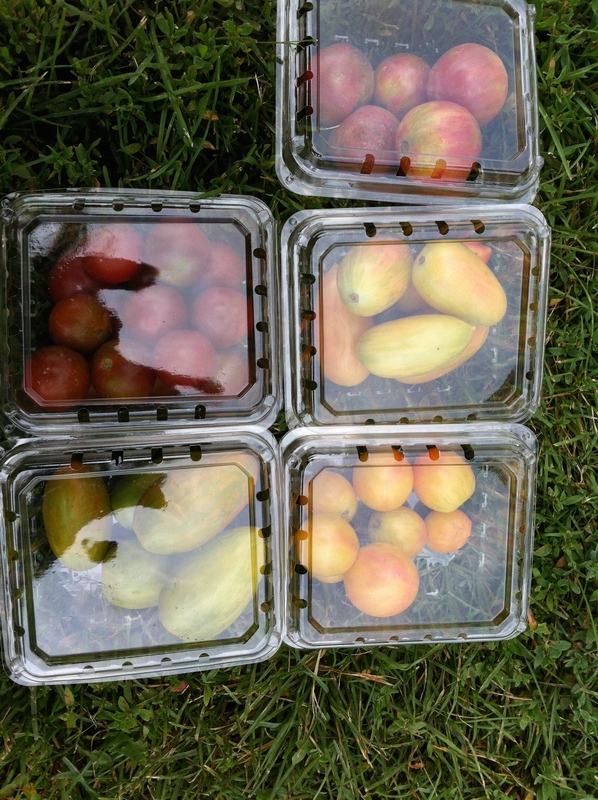 Since the tomatoes had fruit on them and we were unable to control the BLS, most of the fruit on the plants have scabs on them. We fertilized last week and they seem to look better on the top. My plan of action is to fertilize once a week now and see if we can’t outrun the disease. Fingers crossed! I planted spinach last week as part of the preparation for fall crops and school starting. I am planning on succession planting every two weeks with my goal being to have a continuous supply of this green available to sell in the fall. I mentioned the importance of tools and equipment earlier. As I was making my rows with a diamond hoe and preparing to measure every 6″, Michael Douglas came by and asked why I wasn’t using the seeder. I had never used one before and he was kind enough to give me a lesson. A-M-A-Z-I-N-G! It took probably two hours off my day and also saved me from over using seed. I am very conscious this year of how much seed I am using because it is expensive. In the past I just thinned the bed after it was planted but there is a lot of seed that is wasted using that method. 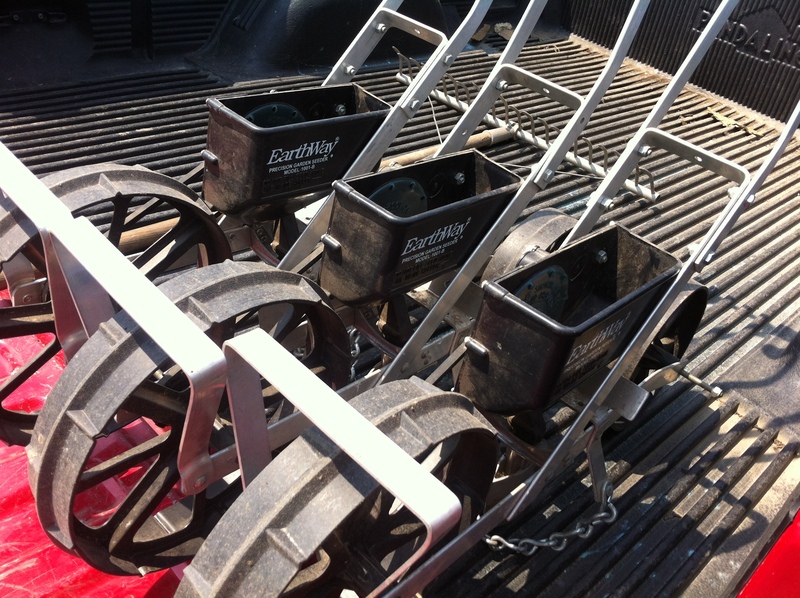 This seeder has a size disc and depending on the seed size drops three seeds at a time. It makes a furrow as you push it down the bed and covers as it moves along. It seemed like a really sweet deal as I was using it but we shall truly see when the crop starts to emerge through the soil. 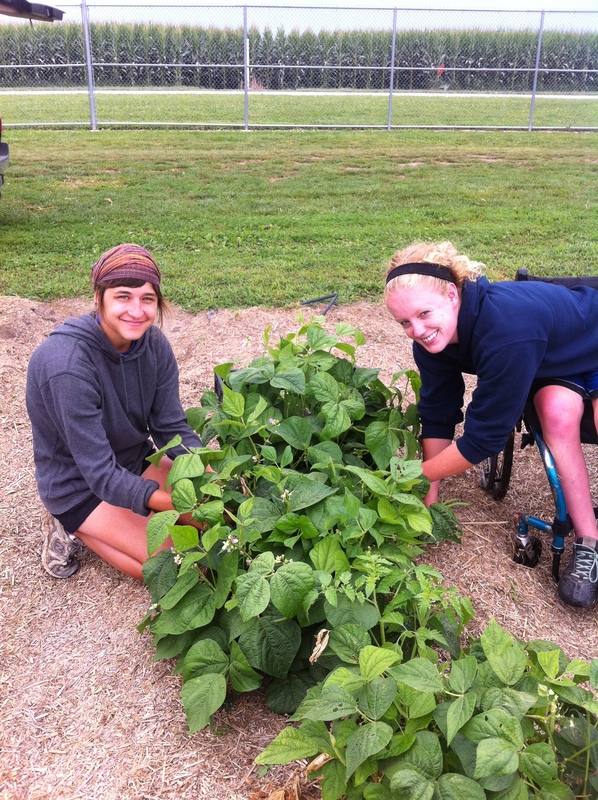 We had a giant green bean harvest at the end of last week, pulling approximately 133#s from 3 x 180ft beds. 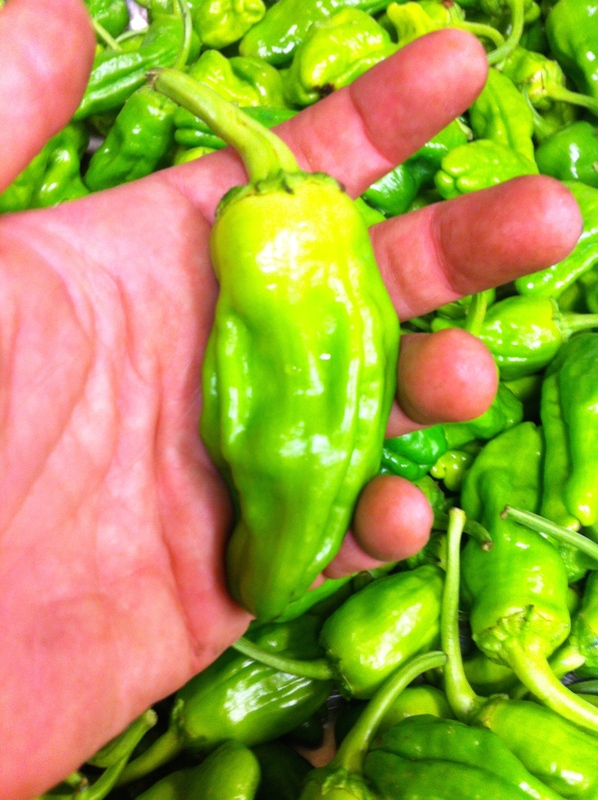 I really like growing this crop because it is always successful with very little work. 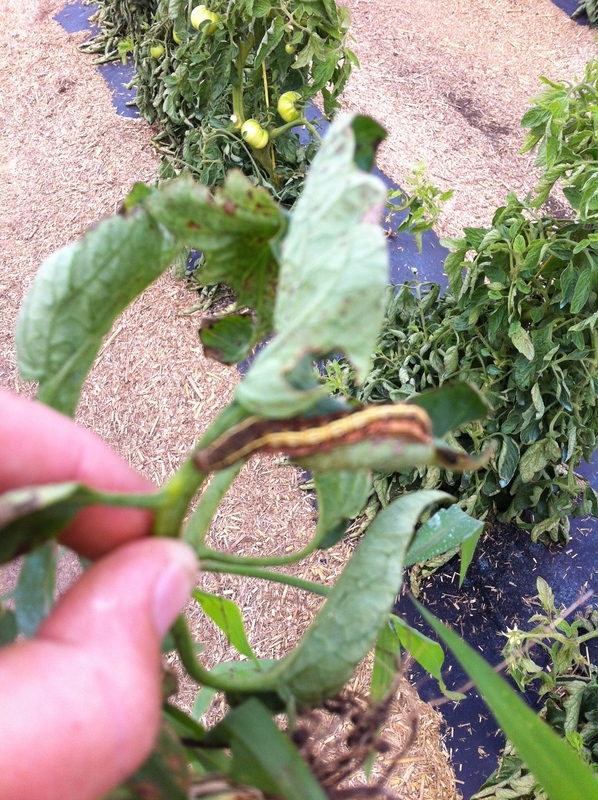 Other than the cutworm problem we had at the beginning of the year, we have not had to give them much attention…… until harvest! 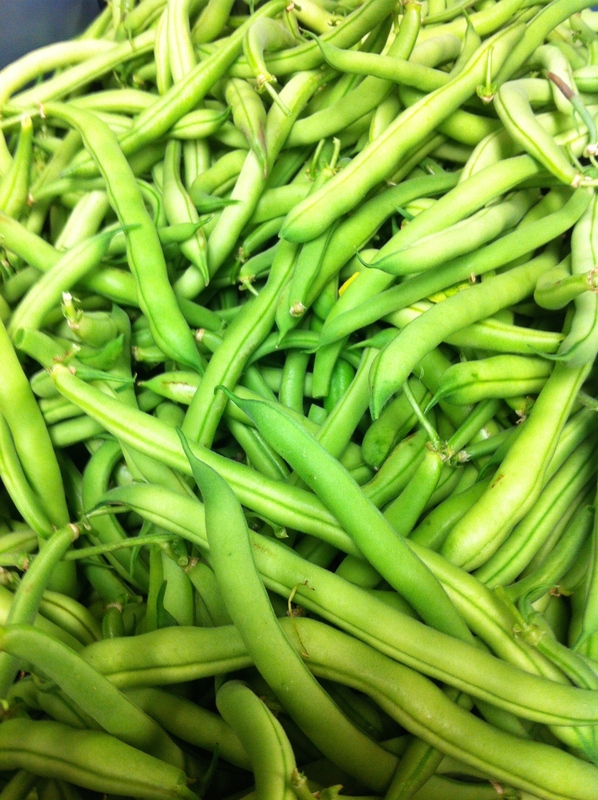 The downside to growing green beans is that it is a very tedious, long harvest. Luckily, I roped some very friendly girls into helping me with a sad face and the promise of pretty much anything they wanted. 🙂 Thank you thank you Hannah and Shelby! If it weren’t for you I would probably still be picking green beans this very minute. The head lettuce transplants are huge and I brought them outside today to start hardening off. I am so excited to get them in the ground at the end of this week! Look at that big beautiful Pink Wonder!!! A lot happened = longer blog post. Hang in there and keep reading… I promise it’s entertaining. Vacation is definitely over! We had a crazy busy week last week. It finally stopped “monsooning” (definitely a made up word 🙂 ) so every task we have been waiting on due to extreme moisture pretty much happened in five days. First things first …. lets talk about the good. 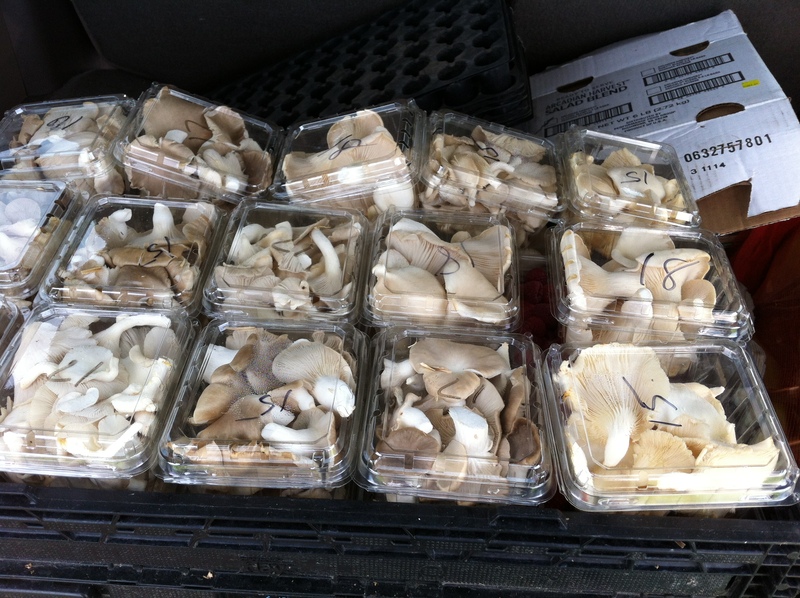 We had a ton of crops ready for harvest. 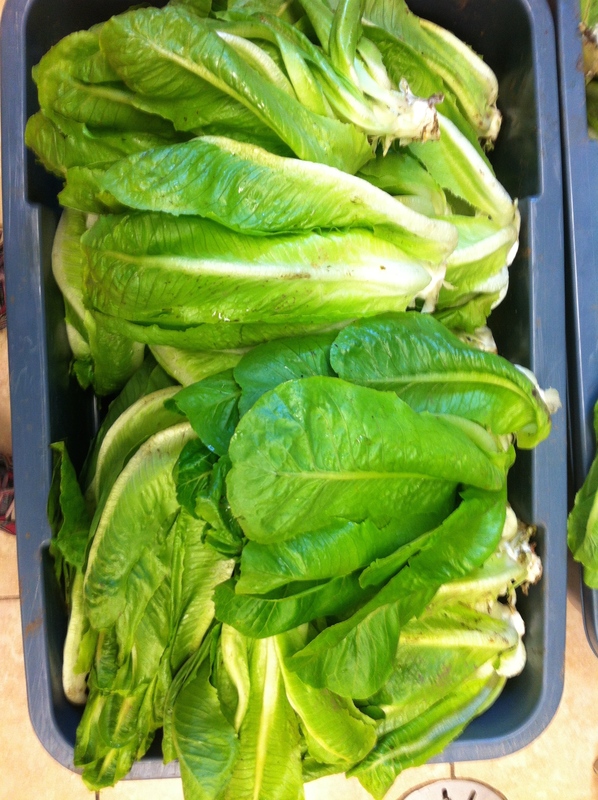 I mentioned the head lettuce in last week’s blog that was harvested the previous Monday. It was pretty epic going in for lunch last week and having a bright green, crispy salad with lettuce that was grown at our farm. I would be remissed if I simply mentioned the harvests and not what happens after the harvests. I have to give a shout out to the summer chefs that are on board with the farm project and have a vested interest in seeing fresh local product walk through the door. Bonnie, Ryan and Liz thank you for your support and buying lots of kale right now :). I promise the tomatoes and peppers will be ready soon! 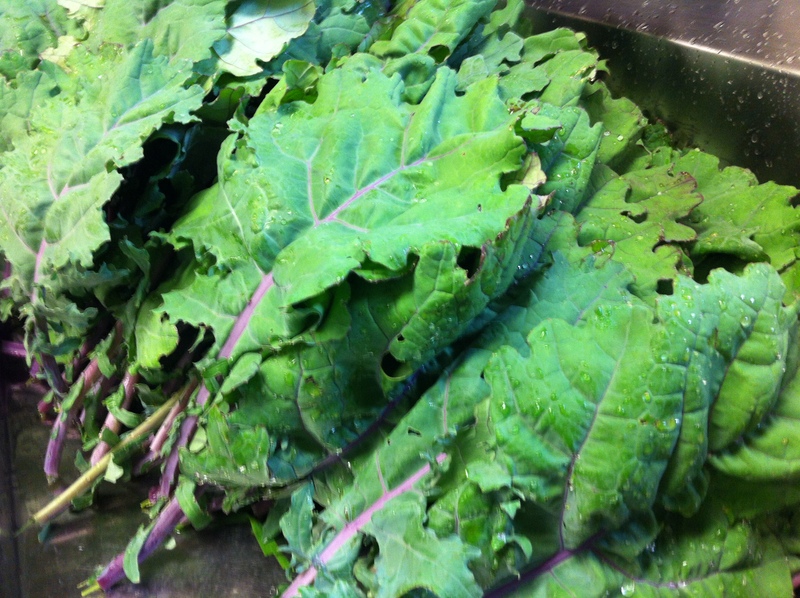 Speaking of kale, that and the chard are going strong and we are getting an order for 80#s a week for the kale. 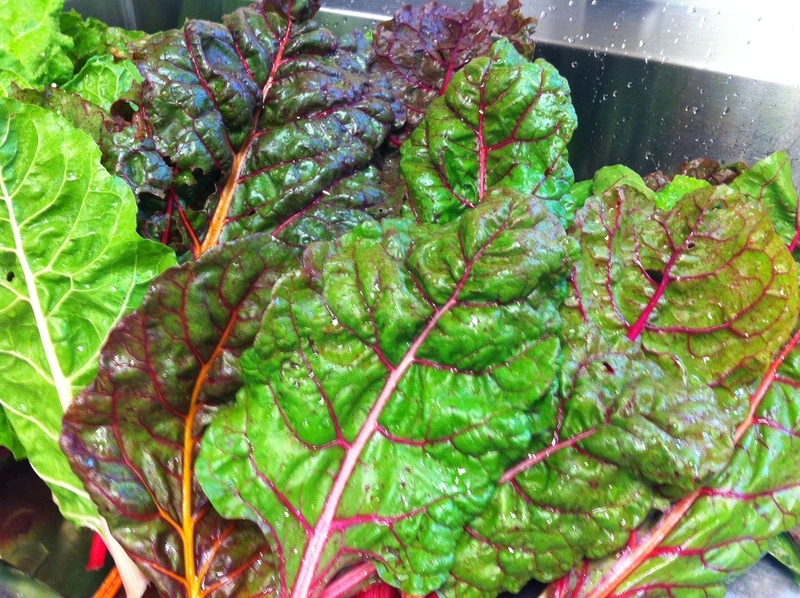 Bonnie, the executive chef of Hendrick House, is taking chard on a weekly basis as well but I secretly think that is out of sympathy for me. 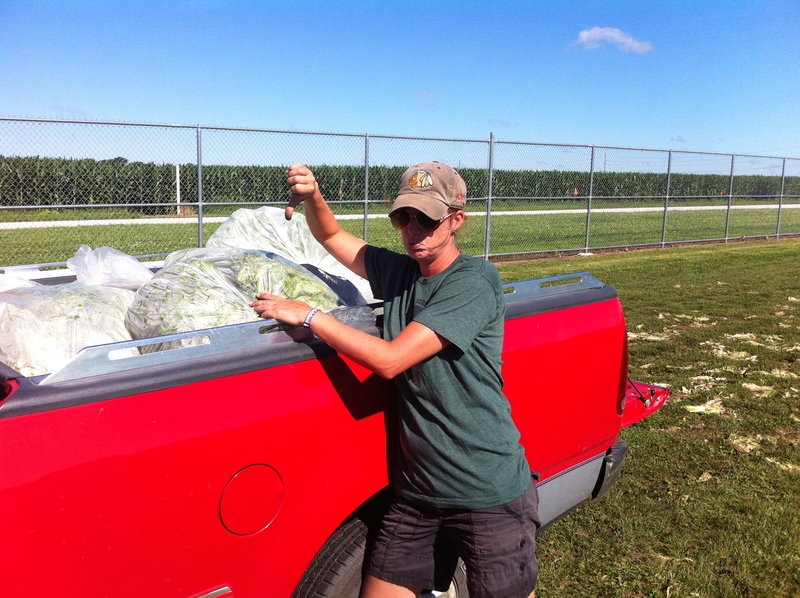 I planted 2 1/2 180ft beds of kale this year to try and keep up with the demand when the fall semester started last year. Hopefully we will not get a bacterial disease like last year and it will last us to the end of our growing season in late October/ early November. The golden greeks (soon to be pepperoncinis) had their day in the spot light last week as well. We got a whopping 3.5#s. I think I am so ready for peppers this year I keeping checking the beds for signs of life. I am very excited about growing these this year because like the basil and seconds from tomatoes, they will be processed (pickled) and distributed throughout the company during the school year. 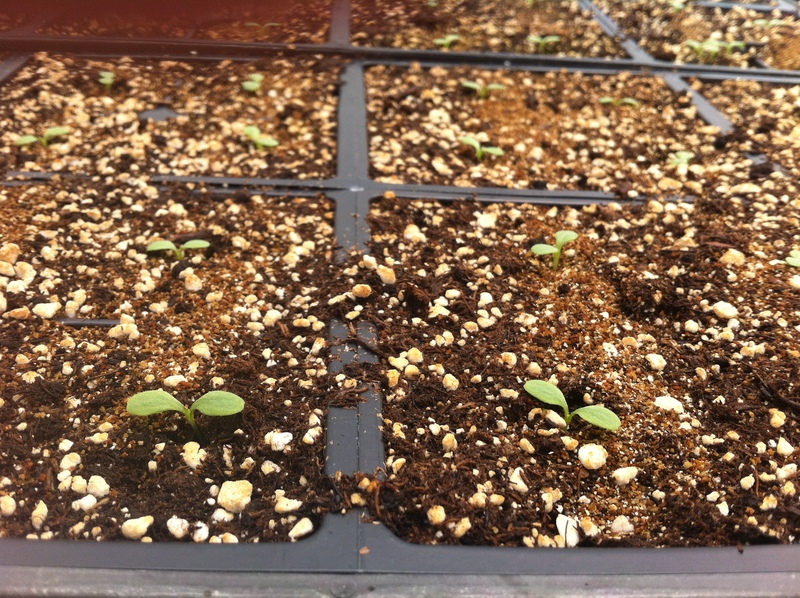 I planted some nasturtium, red ribbon sorrel and calendulas for local food dinners. Since we don’t have a dinner for another month I took a little bit of each of these to some of the chefs. I was surprised by their excitement and willingness to purchase them from me. Cooking for the masses, there isn’t a real demand for “garnish” type plants and vegetables. I am excited to see what they do with them in the weeks to follow. Well, with the good there is always a little bad. Using the “compliment sandwich” method, I will try to squeeze it into the middle of this blog. The rain has now stopped for a little bit but it wasn’t without damage. I always speak of bacterial spot and that we are combating it with copper twice a week. 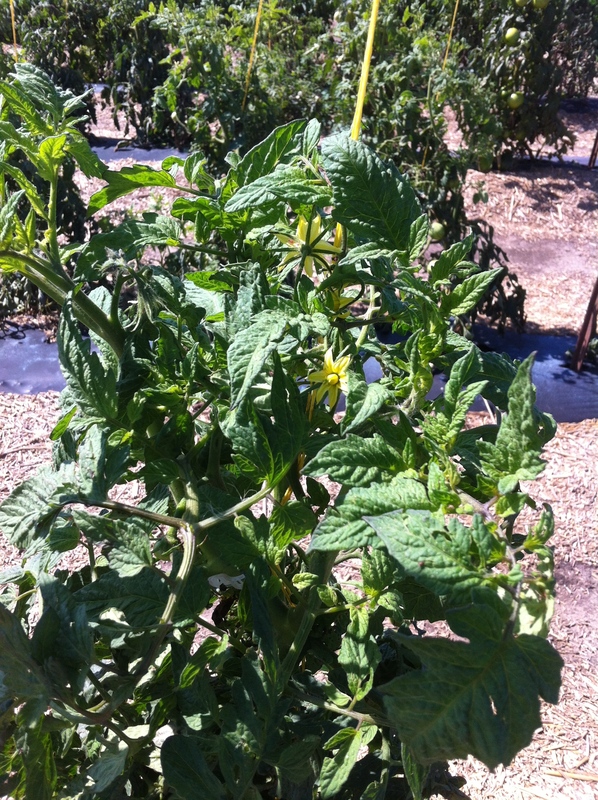 This last monsoon really took a toll on some of our tomato plants. They are starting to fruit so this is kind of a critical time to get the BLS (not mistaken with BLT) under control. We got lucky that the rain has let up and fingers crossed that we can pull them out of it before it causes any more damage. 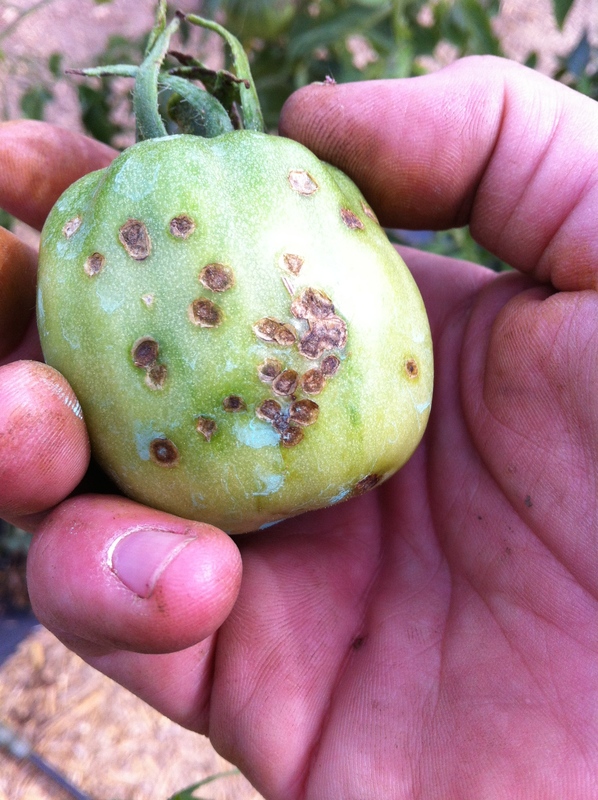 Since I have been paying such close attention to our tomatoes with the BLS I noticed another sort of damage. 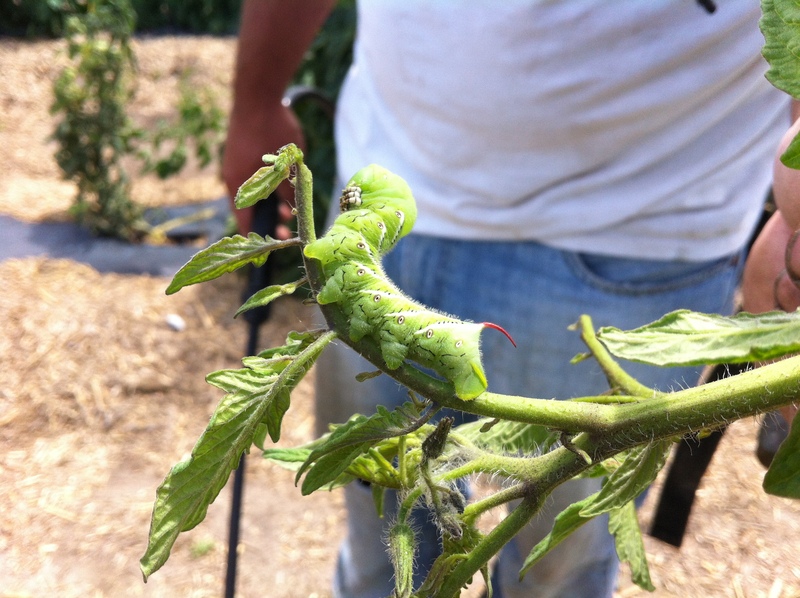 Tomato horn worms and tomato worms are out in full force now! 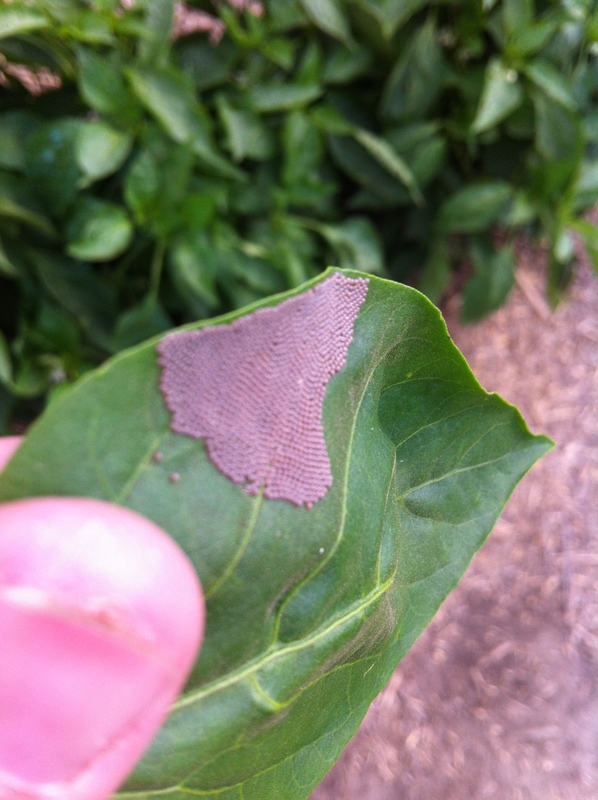 Those, not so little, creatures have been feasting on the top foliage of our plants. Unfortunately for them I have overcome my fear of squashing them and my war paint is on! Take no prisoners!! I found some eggs on the back of our peppers leaves while I was weeding and harvesting the golden greeks. It looked suspect so I sent a picture to Rick and sure enough…. it was not good news. He said that it was eggs from one of the cutworms, probably the western bean cutworm. I am pretty positive there are a million varieties of cutworms and we will see every single one this year. I have not made any decisions on how to handle this yet but I will definitely keep you posted. Lastly on the pest front, we have aphids. 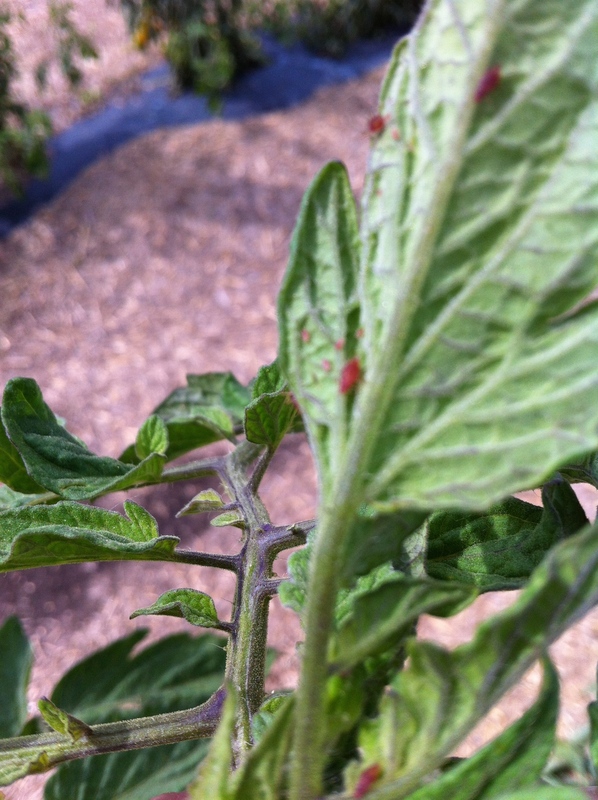 Last year we saw aphids toward the end of tomato season. They didn’t do any real damage to our tomatoes since they came on so late in the year but they made for a pretty disgusting harvest. They secrete this sticky residue, which is referred to as “honeydew”. It is really gross, especially when you are already hot, sweaty and dirty. I am currently researching pyganic (organic solution) but will keep you posted on what my course of action will be. 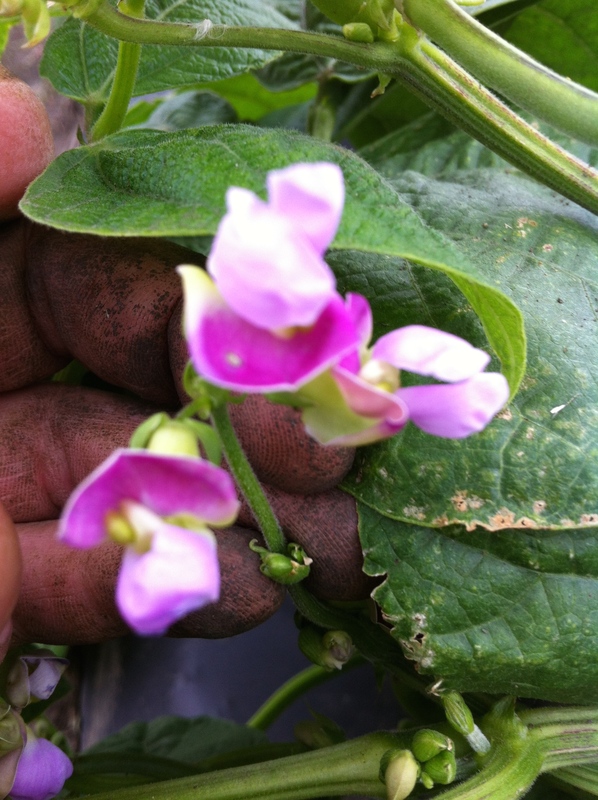 Thumbs down to downy mildew!!!!!!! I will make a quick mention of this and that is all. We tore up our basil beds AGAIN this week due to downy mildew. It was very sad. They fought a good fight and I put it off as long as possible but they became unmarketable. The question stands…. is this a crop worth growing in the future? To be determined…..
Jeff Kindhart was kind enough to deliver some prawns to me for my local food dinner in August. 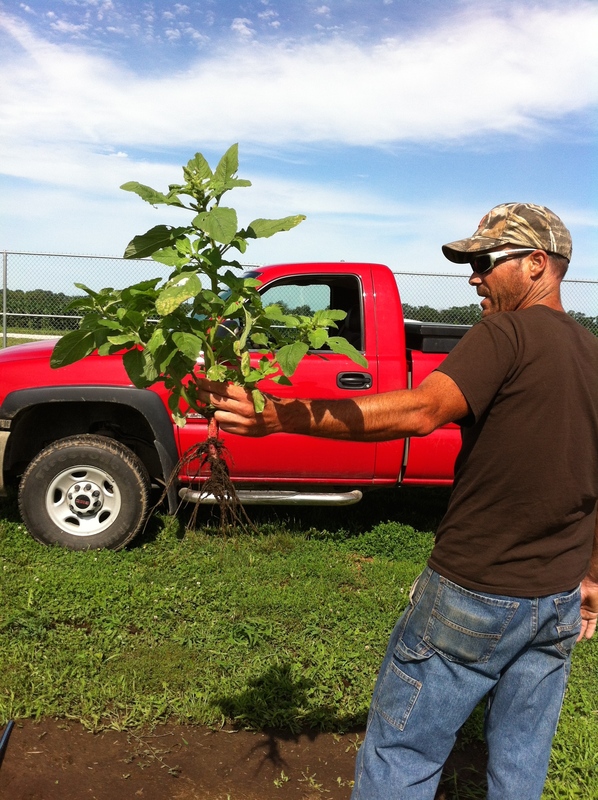 They are from Grover’s farm, Tanglefoot Ranch, another Beginning Farmer Program Student :). This trip was no different from any other… he brought lots of presents and in turn I made him and Julie risotto… again. 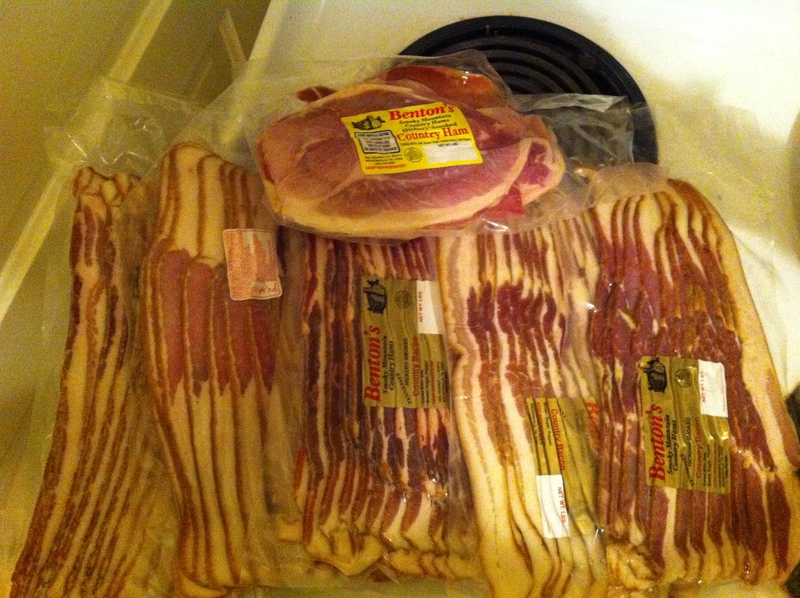 I was excited I was able to use some of my farm vegetables this time, of course folding lots of smokey bacon into the mix. I spoke briefly last year of the perks of a tight working community such as kitchens. I also spoke of the parallels between working in kitchens, where you would eat the most amazing food, to now where I get the most amazing produce. 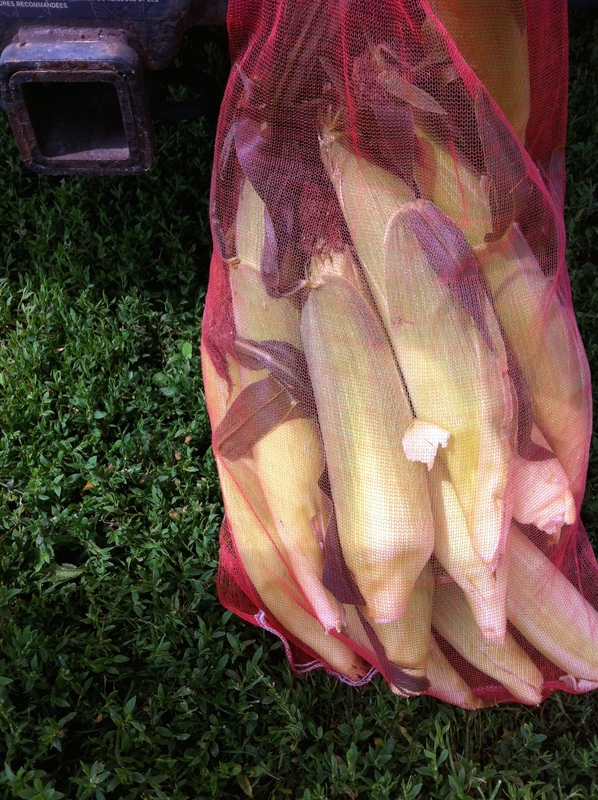 My friend Jeremy gave us sweet corn last week and it was so delicious it required no cooking. We ended the week preparing for fall. We planted more head lettuce except this time I am trying my hand at transplanting them. 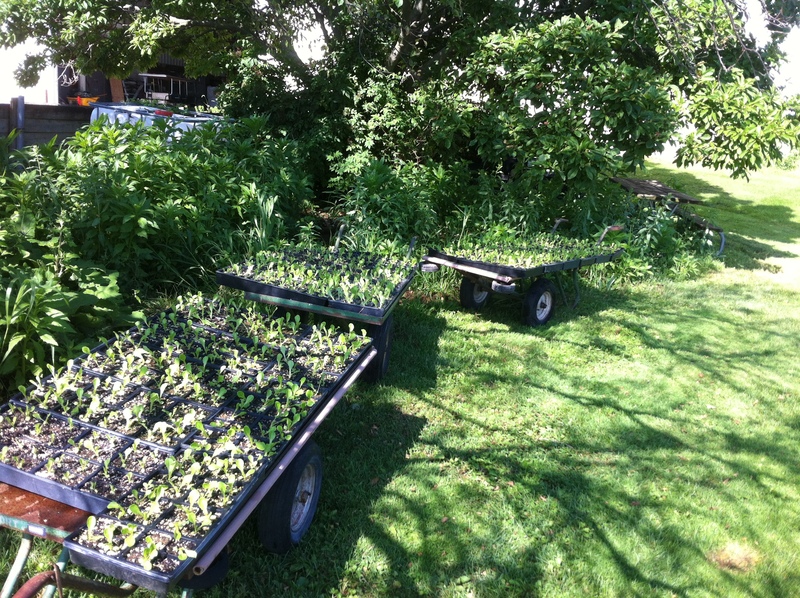 I think they will be sturdier and will out compete the weeds when they are transplanted. I am really looking forward to seeing how the greek chefs like the head lettuce compared to the salad mix we were growing last year. Today after a large harvest Kevin and I laid mushroom compost in the beds we are prepping for the romaine heads, spinach and new basil. Our friend Michael Douglas (not the actor) had some left over from the community garden he is putting together next door to us. It was a beautiful rich black color and smelled so good. 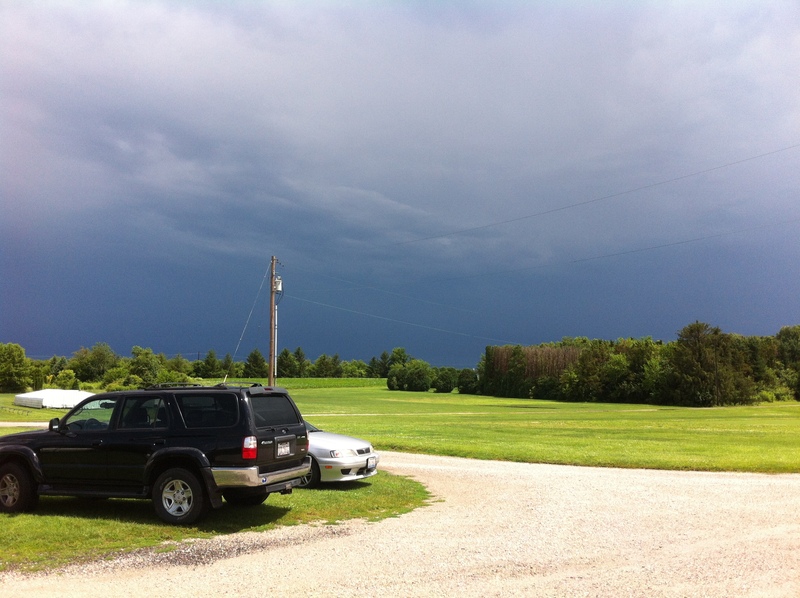 Kevin commented how excited he is to see how this will affect our plants considering the weeds were a vibrant green. 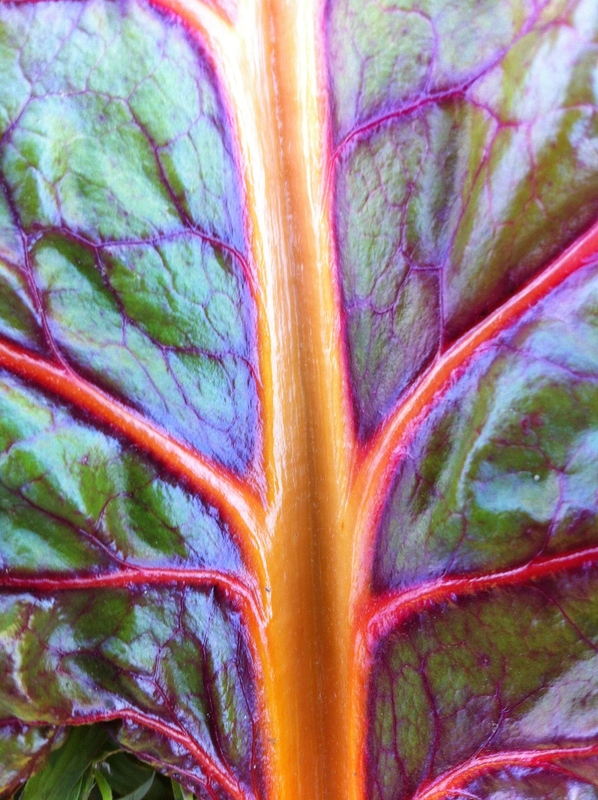 Head Lettuce….. The only way to go/ grow! I really don’t think it will ever stop raining!!! We had 3 inches of rain in Urbana on Saturday and another 1/2 inch today. This has truly been a monsoon summer. What does this mean for the farm?! Well…. 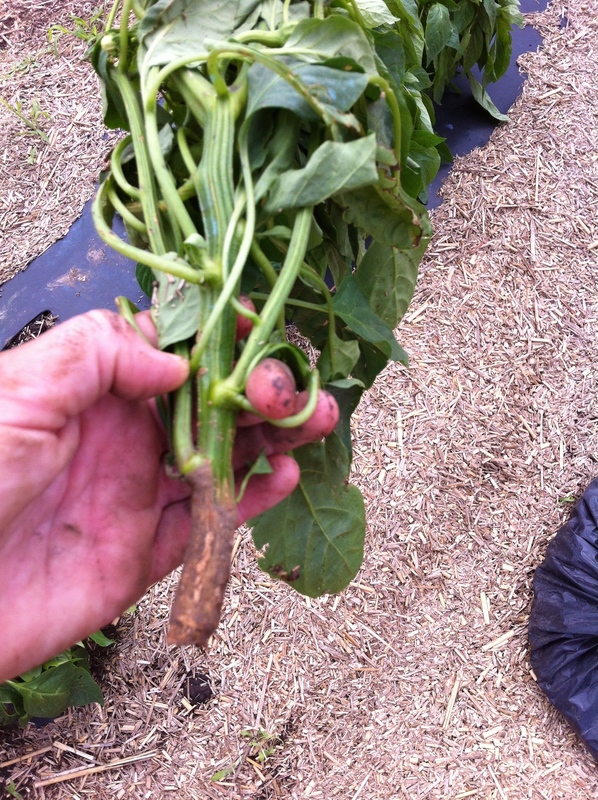 some of our plants (bush beans) are rotting at the stem due to all the water, which is causing them to separate from the tops. 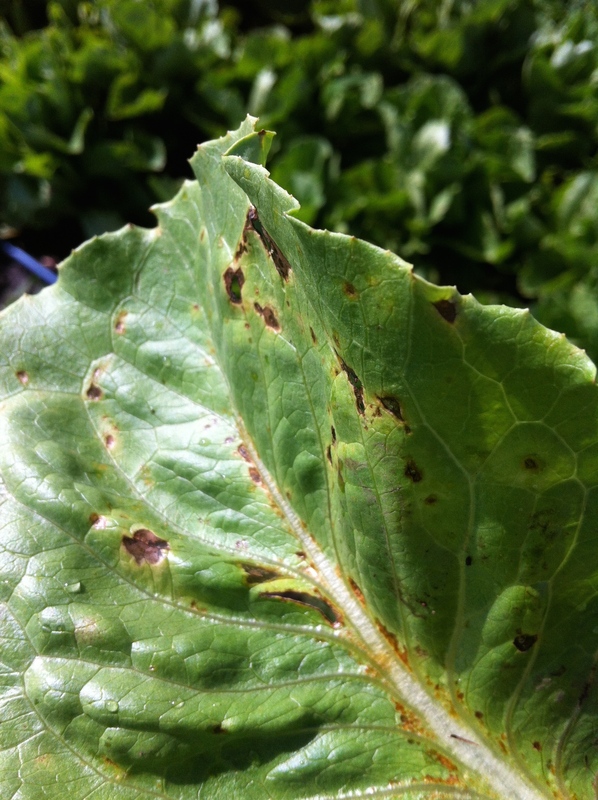 We had water spot damage on our head lettuce and that pesky bacterial spot just won’t go away. It seems as though every time we get another large rain storm, the bacterial leaf spot comes back in full force. We have our first onset of ripe tomatoes, which are the Goldies, but the excess amount of water falling from the sky is causing them to split. (Even though they are not marketable they are incredibly delicious!!! 🙂 ) The rain has not affected all of our crops. 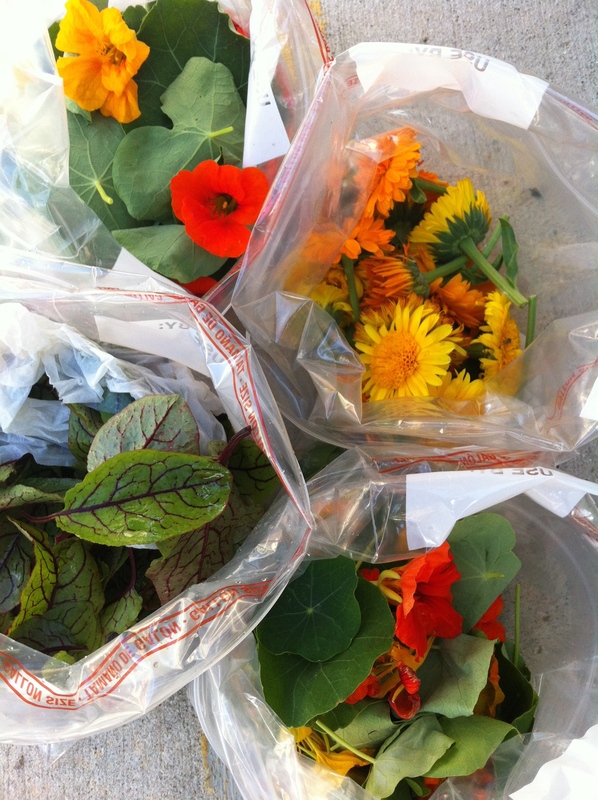 The nasturtium, sorrel and calendulas are beautiful and add brilliant color to the south end of the plot. a funnel towards the stem. They were peppery to the taste and smelled of apricots, so I knew they would not kill me if ingested :). 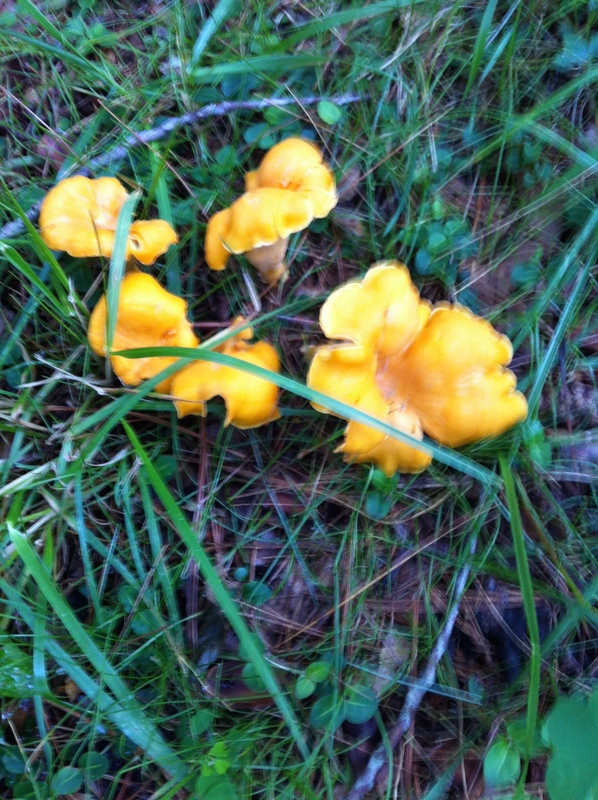 As I was foraging I was thinking of a famous chef in Denmark who’s name is Rene Redzepi. He owns a two-Michelin star restaurant called Noma. He is very into foraging and looks to highlight ingredients based on what is native to the area, rotating his menus based on their seasons. ……..And that is your culinary lesson for the day! We had a beautiful harvest today of the head Romaine and green beans. I could not be more pleased with the decision to switch from growing salad mix to head lettuce. 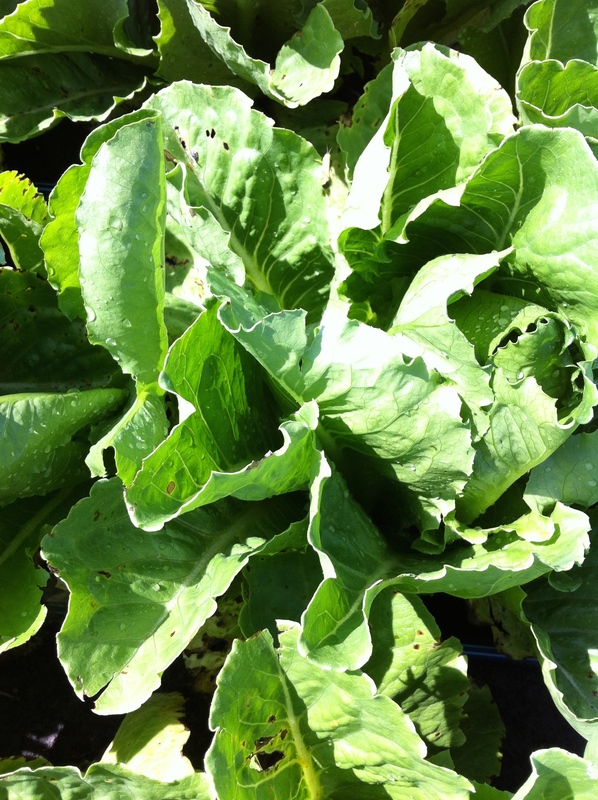 The head lettuce is sturdier and not as delicate, withstanding the extreme elements like champions! 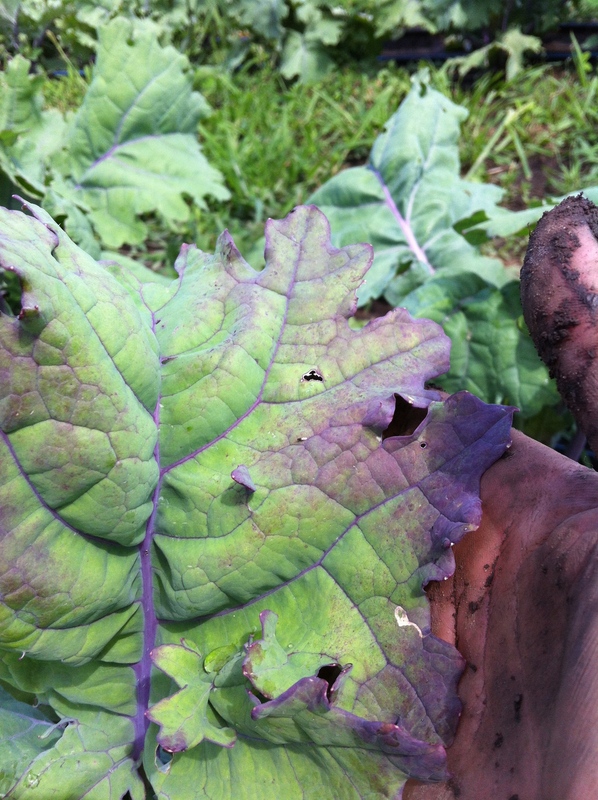 They had very a small amount of water damage and cabbage looper damage, which is nothing compared to the battles I have been fighting with other crops. I only planted 1/2 of a bed to test the plants. With that 1/2 bed (90ft) we were able to grow roughly 140 heads of lettuce. The harvest time was cut in 1/2 and the wash pack time was also greatly reduced. I am really looking forward to the response from the clients and cooks when school starts in the fall. We had a really bad storm pass through at the beginning of last week and unfortunately lost some plants. One of my tomato plants hung itself in a very dramatic fashion. Because we have been having so much rain, the ground is wet and when you add any sort of high wind to that it is a perfect situation for the plants to be uprooted and tossed out of the beds. After witnessing the tomato swinging back and forth on its trellis I immediately started to walk the rest of the plot to see what else the storm had affected. The peppers, which were not trellised yet, were all laying on their sides and there were three bush bean plants that had been uprooted. This was pretty minimal damage compared to the farms surrounding ours. 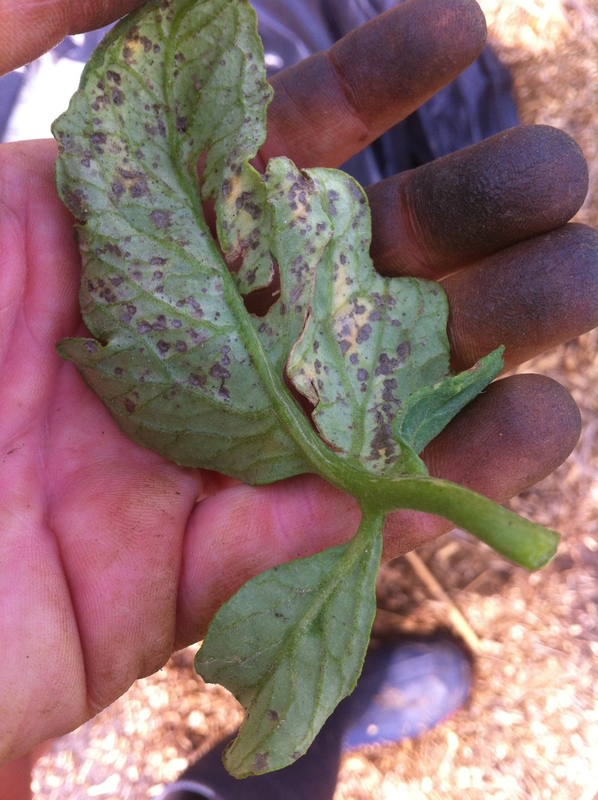 However, because we are still having large amounts of rain, the bacterial spot on our peppers is fighting hard to make a come back. I am hoping that as long as we keep treating it twice a week with the copper (and it stops raining) we will be able to fight it off before the plants start to bear a lot of fruit. The top of the pepper plants look beautiful, full and spot free so I am pretty confident our first harvest of peppers will be sans scabs. 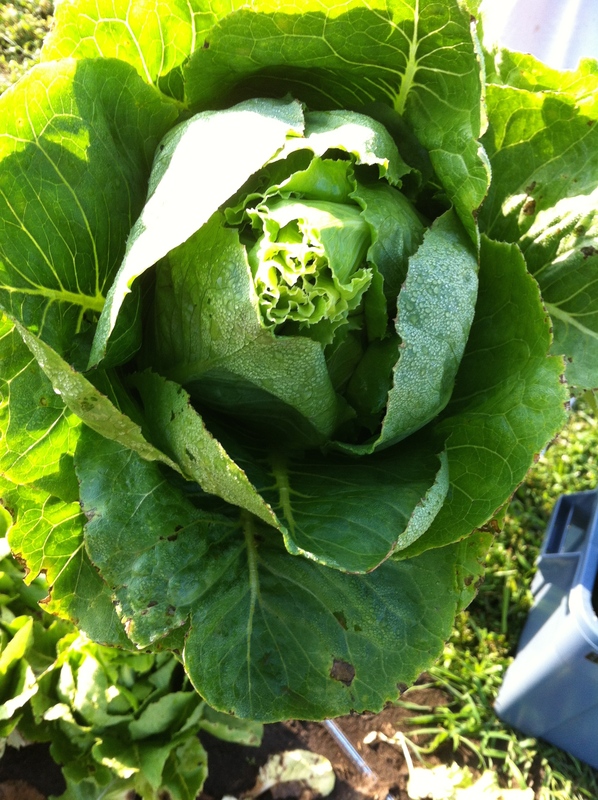 Our romaine took somewhat of a beating with the heavy rains. 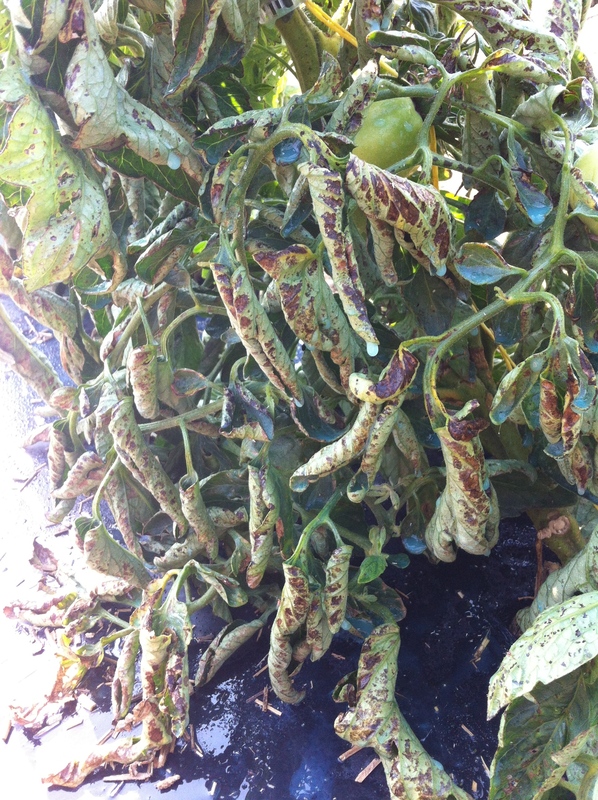 We found spots on the outer leaves which look like mechanical damage from the storm. 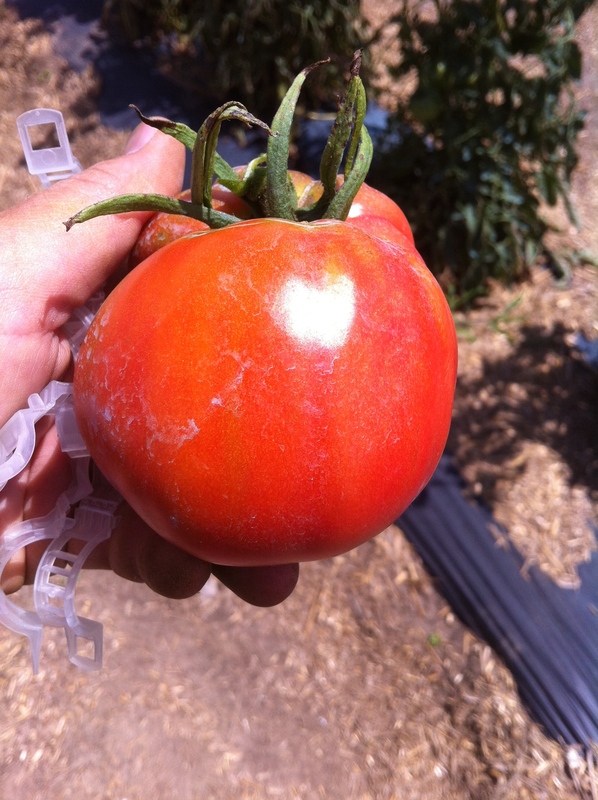 Most of the head still looks good and we plan to get approximately 100#s next week when we harvest. With the rain comes the weeds. Kevin and I are splitting our time right now between managing disease and managing weeds. We have started the annual contest of who can find the largest weed. Im not sure if you remember from last year but I am the reigning champion, having found a weed larger than myself. Another contestant, Jeremy, is in the running this year and so far has the lead :). Weeds are not the only thing growing rapidly. Our tomatoes are already come up to the middle of my body and we have started to see the first beautiful buds of our green beans, nasturtium and calendulas. The nasturtium and calendulas were planted for me to use for the farm to table dinners Hendrick House will be holding this summer. 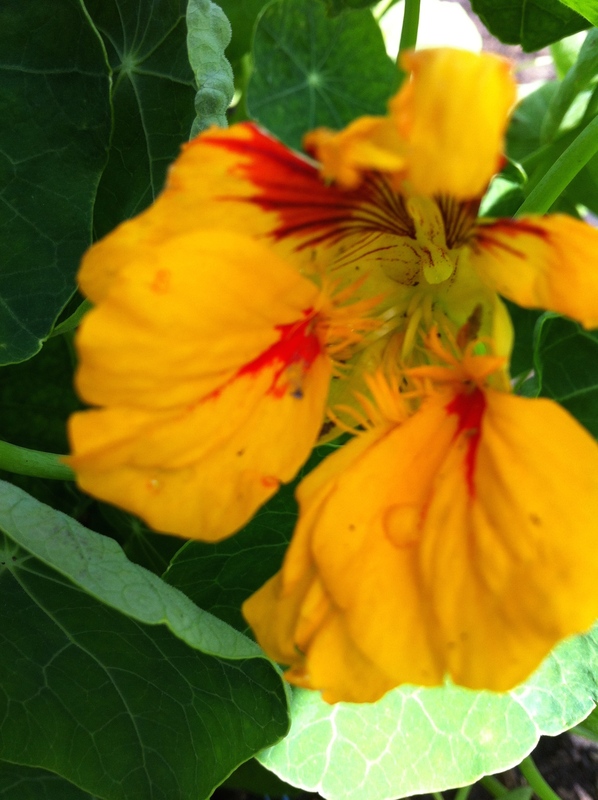 Nasturtium is one of my favorite ingredients because the flowers (which are edible) are filled with beautiful vibrant colors of summer and the peppery tangy pungent flavor is perfect for salad mix, compound butters and pastas. 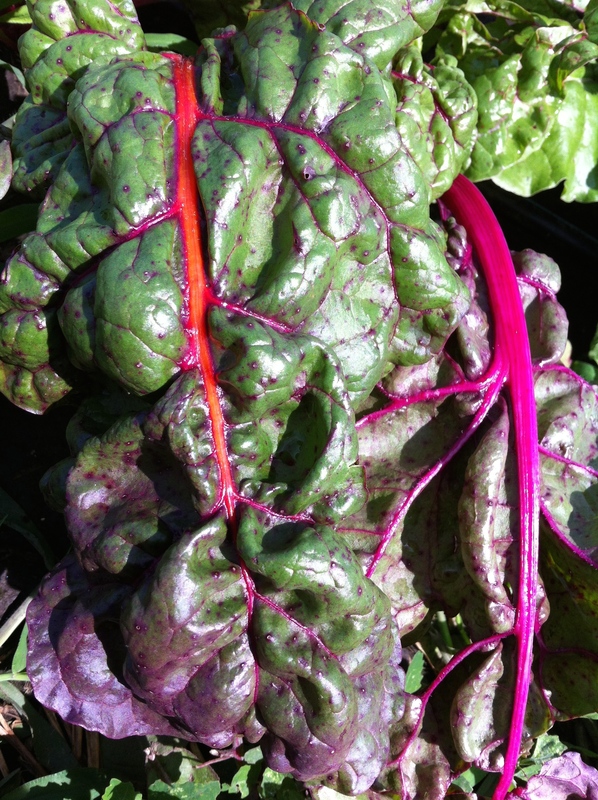 Our chard and kale are filled with beautiful striking colors ranging from marbled purples and pinks to green. We are planning to get our first harvest off each bed at the beginning of next week.